Webb Air Conditioning would be pleased to know your feedback about how we are doing in the business. Let us know your comments and suggestions from Keller, TX and other nearby areas for us to serve you better. Rest assured that we will continue to offer nothing but the best customer service to satisfy your needs. Great Setvice as usual . Have been a customer for years and have always been pleased. Brandon was so helpful in recalibratimg all thermostats and sensors. Would highly recommend him. Thank you for the 5 star review, and the kind words. Jason and Kyle did a great job communicating what they did and options available to resolve a minor issue with a too warm room in the summer. Thanks! 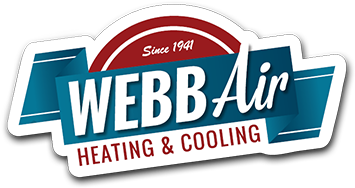 Webb Air was fantastic about getting a technician out to see me and the tech was extremely thorough, informative and helpful! He walked me through everything he was doing, making recommendations with respect to filters, drain clearing, etc. He cleaned off the external unit which seems to have helped the unit in cooling the house! Dustin did a great job !!!! He answered all my questions and gave my air conditioner a thorough check. He even changed my filters for me!